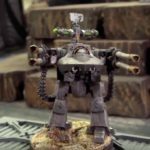 Home Warhammer 40k Warhammer Tactics: What Time Is It? Welcome to Warhammer Tactics! Today, we’re going to be discussing an aspect of gameplay that often gets overlooked when evaluating units or making gameplay decisions. We’re going to be covering Time as a concept, and go over some ways you can use Time to help you win even more games on the tabletop. Without further ado, let’s dive in! First, it’s important that we define Time as a word. We aren’t concerned about the actual passage of minutes and hours spent playing the game itself, at least for today. That’s a subject for another day entirely. Rather, we’re talking about the passage of rounds and turns as a game progresses. Keep that in mind for the rest of the article, since we’re working with a different definition of Time. 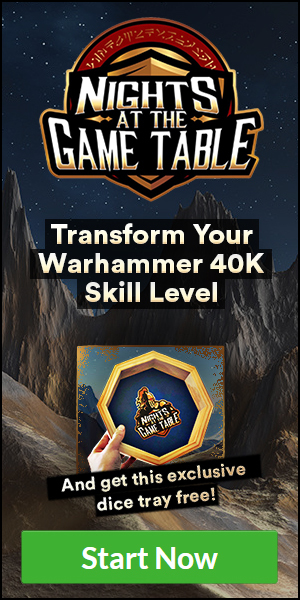 40K has a lot of complex elements and strategies which give us a multitude of ways to analyze the gameplay and the tactics we use. 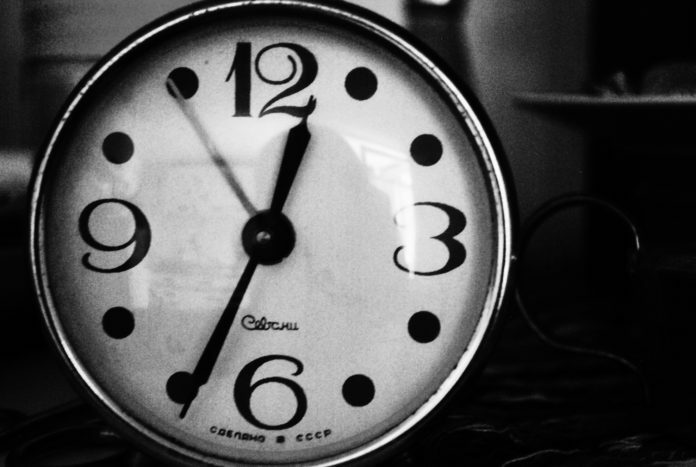 However, no matter what we do, we only have a limited amount of Time to complete our objectives. For competitive events this is typically 6 rounds, and casual play 5-7, based on mission and/or the random game length rule. This means that we need to evaluate our units not only from the perspective of what they do on the first turn or the first turn they arrive, but also from the perspective of what they do on future turns. 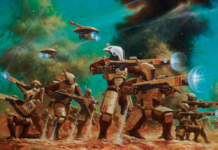 A unit that drops in that can wipe out anything with a dizzying array of firepower is great the turn it shows up, but if it lacks mobility or requires resources to be effective, it’s use will quickly degrade over the course of a game. Alternatively, a unit that requires no support and that can be effective at long ranges is likely to be useful throughout the game. For example, consider the Space Marine Whirlwind. It’s not a very commonly used tool, as it’s two weapon options are both rather unimpressive at first glance. It either has a 2D6 S6 AP0 D1 weapon, or a 2D3 S7 AP-1 D2 weapon. Both loadouts clock in at around 90 points. At first glance, neither profile is impressive. However, the Whirlwind has an insane 72” range, and it doesn’t require line of sight to its target. This means that a Whirlwind placed on the back of your deployment zone will be able to cover the entire table, practically, while also being safe due to terrain blocking it from view. Let’s look at the 2D3 weapon. Over 6 turns, you’ll average 24 shots, 18 hits, 9 wounds, and after saves about 9 damage. That’s most of a full health Vehicle or Monster, meaning you spent 90 points to kill a 150+ point unit. That’s a pretty positive net trade up, and this is without any support. In addition, the Whirlwind provides other benefits, like possibly controlling an objective or occupying space to prevent deep strikes. In an emergency it can even provide mobile line of sight blocking terrain or section off enemy movement, depending on the game and situation. These factors combine to make the Whirlwind actually a rather efficient choice for a Space Marine gunline. 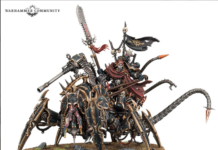 On the flip side, let’s consider a Sanguinor Bomb. 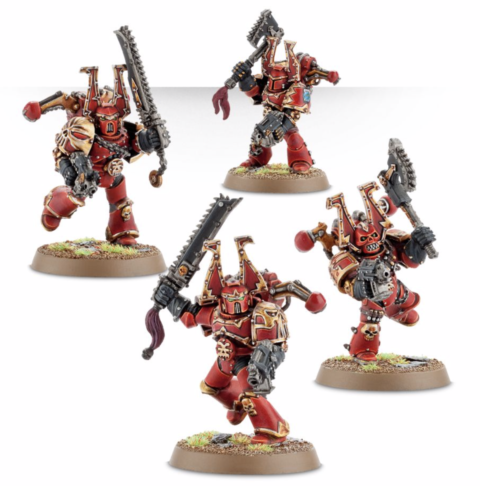 This is a Blood Angels combo with a big unit of Sanguinary Guard + The Sanguinor and optionally a Librarian. 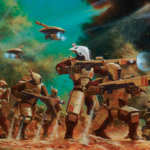 The Sanguinor is the Warlord, which causes the Sanguinary Guard to re-roll all missed hits. 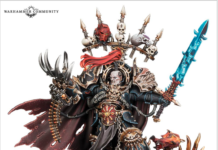 In addition, The Sanguinor also has a bubble of +1 attack. 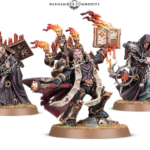 Throw in a Librarian with Unleash Rage, and you get a unit of guys making 4 Power Fist attacks that Re-roll to hit with +1 to Wound. Talk about scary! This unit is all but guaranteed to run over whatever it charges in one brutal close combat. 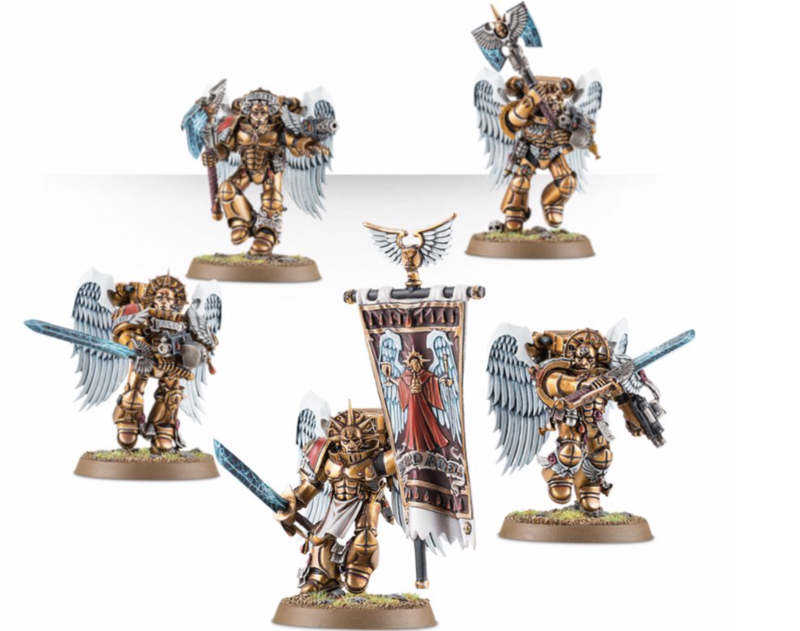 However, the Sanguinary Guard aren’t that durable for their price, and they either have to spend Time getting into position across a table or making charges, or deep strike in and hope they can land somewhere to make an effective charge. Factors like this prevent the Sanguinor Bomb from making debating blows turn after turn usually, and instead forces them to have 1-2 powerful turns before being removed. These two examples provide us with two ends of a spectrum. On one end, we have units that we want to survive over multiple turns to rack up value. On the other, we have units that we are planning having come in hot and deliver serious damage before dying. When you’re building your lists, try to have at least some elements of both ends of the spectrum. There’s another element to discussing Time, but instead of being tied to a unit’s intended purpose, instead it’s tied to how armies damage and remove pieces from one another as a game progresses. 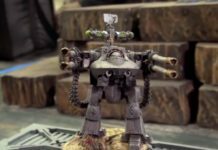 Although 40K is ultimately a game of area control, one of the main ways we go about controlling the table is attacking and removing our opponent’s units. However, we can’t remove our opponent from table in one turn usually. Instead, we have to try to kill them over multiple turns. This means that whatever unit we don’t remove on our first turn is theoretically available to interact with us as well on our second turn. What we don’t kill on our second turn is theoretically available to interact with us on our third turn, and so on. Therefore, we need to prioritize our targets based on how effective they will be for the rest of the game. Although this sounds rather obvious, it leads us to some less than obvious conclusions which are none the less correct. Imagine you’re playing against a World Eaters player. He has some Berzerkers and Characters in Rhinos, along with fire support. The knee jerk reaction to a list like this is to prioritize killing the Rhinos and then the Berzerkers and Characters, since nobody wants to get charged by Berzerkers. However, the Berzerkers don’t pose an immediate threat. Your opponent has to spend Time moving them across the table and disembarking. While you’re spending your time attacking units that can’t directly interact with you, you’re getting shelled by Havocs and whatever other guns they brought along. By the time you kill the Berzerkers, you’ve suffered too many casualties to meaningfully interact with your opponent’s guns, and you get shot off the table. Well, you chose to focus on a unit that wasn’t an immediate threat instead of units that were. Although the Berzerkers definitely need to be addressed as well, they don’t need to be addressed on the first turn. With some good movement and screening, you can buy yourself Time which you can then spend killing the enemy fire support first. Once the Berzerkers are close enough to become a real threat, that’s when you should pivot and start focusing on the Berzekrers. Obviously, this is a rather simplistic example. However, if you plan ahead with your movement to buy yourself Time which you can then spend on removing enemy units that you need to immediately answer, you’ll see a sharp improvement in your games. That about wraps us up for today’s lesson. Make sure to check back in next week when we go over some Infantry tips and tricks!